The Drift reel is available in the size #5-6, which is blue and for #7-9, which is orange. The first impression of the Guidestream fly reels convinced with a slick design, a strong break and smooth retrieving of the line. The list of features reads like one from a high-end fly reel: saltwater resistant fully sealed drag, V-spool design and precision needle bearings. There are only two things which draw a line to premium fly reels are: a visible screw at the drag knob and the break that starts with a tiny delay. Another great feature is that the spool can be changed within seconds. Just unscrew the middle know with the logo and off the spool goes. The clever design makes sure that this knob cannot get lost . It is securely attached to the spool. Having touched upon the clever design, I must admit that I fell in love with the overall construction of the drift fly reel. The metallic blue look is as stylish as anodized aluminium gets. Guidestream CNC machined its logo onto the side of the reel as large as possible. All in all, a stunning piece of art in my opinion. While fishing the drift reel, I barely noticed the reel even tough its weight is rather on the heavy side. Moreover, I was astonished on how mature the click sound of the reel is. Other low prized fly fishing reels sound like plastic which gives me the creeps. But not the Drift Guidestream fly reel! While reeling in there is no sound at all, but as soon as the fish starts to pull, the chanting begins. As I began fly fishing, I learnt that in contrast to the fly line and rod it is acceptable to save money for the reel. 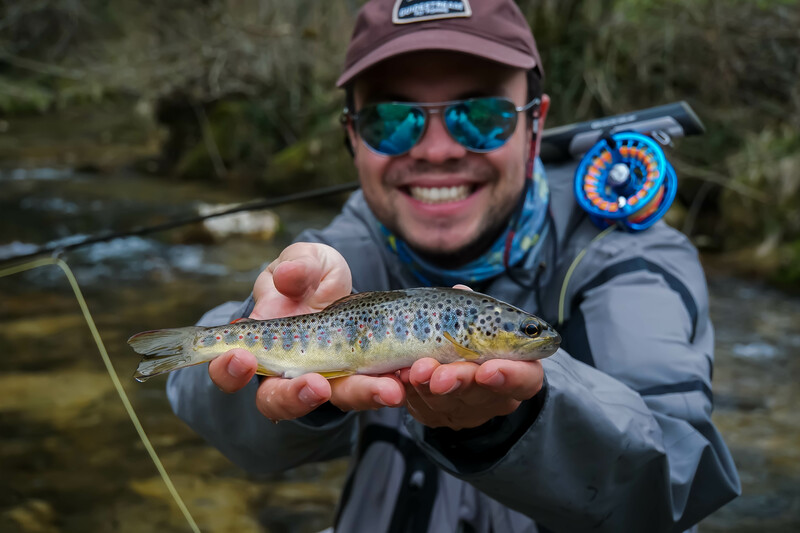 Unless a high quality drag is necessary as for instance in saltwater fly fishing, your reel rather functions as a line holder. Therefore, it is reasonable to save money at this point. 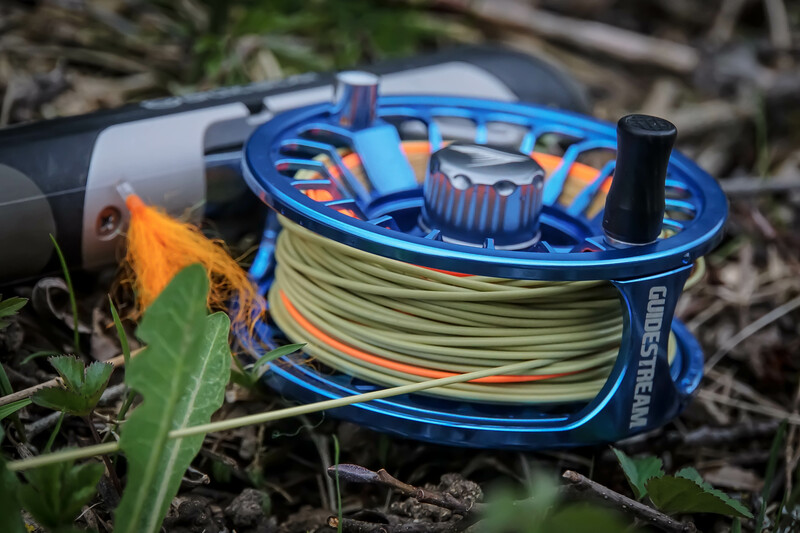 Yet, most cheap reels lack a decent design but finally Guidestream provides a fly reel with reasonable price, a decent brake and outstanding design. 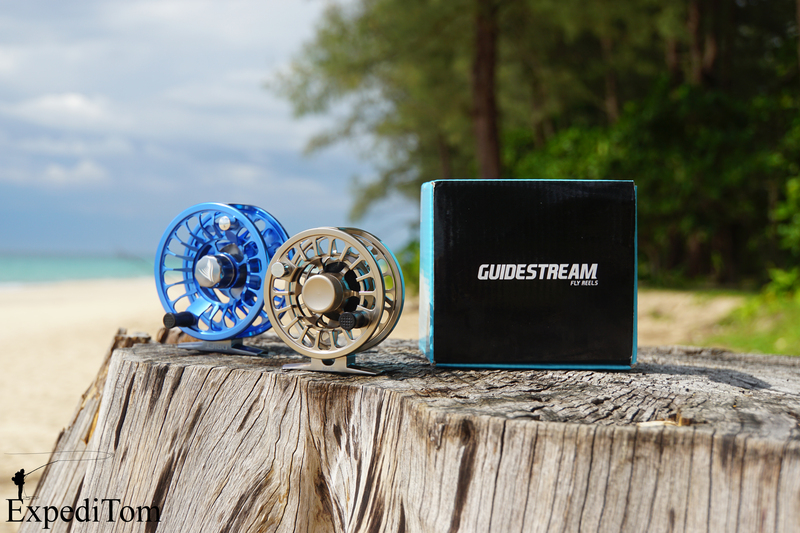 The Guidestream Drift Fly Reel costs currently USD 135 and can be ordered on ExpediTom (tom@expeditom.com). 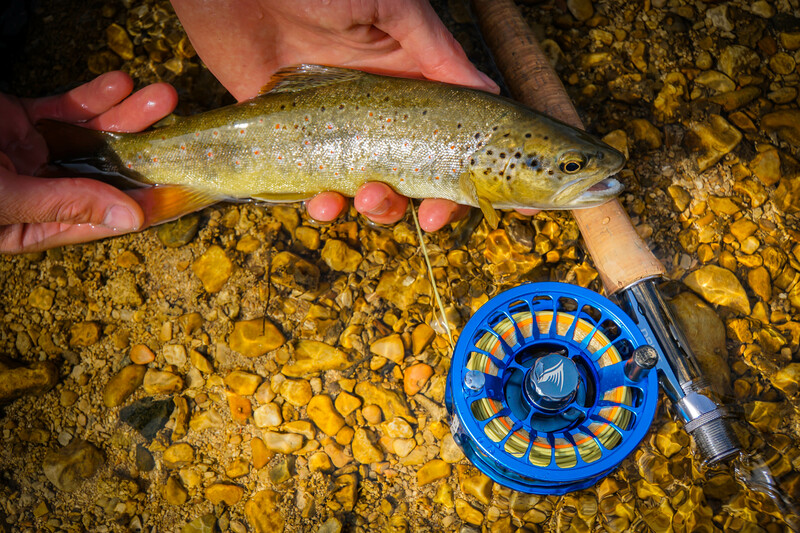 Have you used a Guidestream fly reel? What is your experience? Do you have any questions?